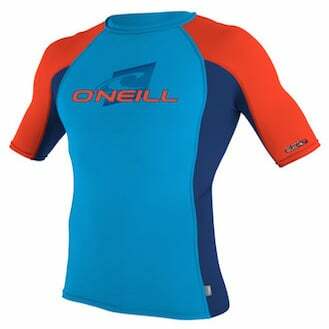 Wetsuit Centre has one of the largest ranges in the UK for summer rash vests which caters for Men, Women and Children. 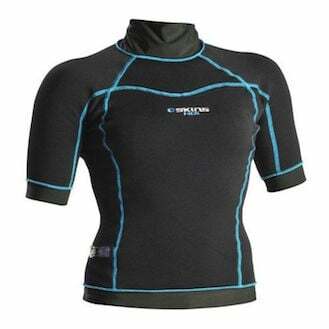 The original purpose of a rash vest was to stop surfboard rashes on surfers whilst on their boards. Surfboard rash can occur as a result of friction against the surfboards or wetsuits, seams on boardshorts and some types of surfboard wax depending on the sensitivities of people’s skin. Elongated periods of time in the water can lead to the skin becoming soft and weaker, with abrasive sea salts continuing to exfoliate the skin. To help reduce this problem, rash vests were introduced, helping to protect the skin from rubbing. 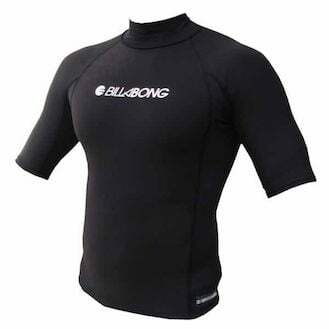 Over time, this garment became very popular, as not only does it stop rashes from surfboards but also from wetsuits when they begin to rub around the neck and under the arms. As the years have gone by, the neoprene material making up wetsuits has become better and better to the point where it is rare to suffer from rashes caused by the wetsuit you choose to wear. Not only can a rash vest help to protect against the inflammation of the skin, but it can also provide significant protection against the harmful rays of the sun – a common problem in key surfing destinations such as Australia, South Africa and Hawaii. 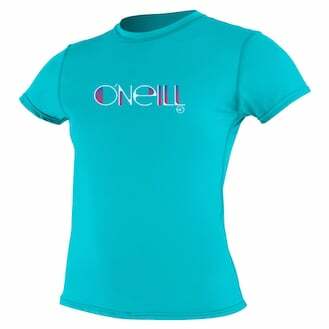 Brands such as O'Neill, Billabong & Rip Curl ensure their tops are 50+ UV Protection to further improve this overall protection. They are designed to be worn in the water and dry quickly in the sun, allowing you to look good and stay safe at the same time. There are a broad number of styles and colours available to give more choice to parents buying for children, and for surfers who are looking to improve their overall look in the water. Thermal Rash Vests have been around for some time now and are crafted from a poly pro material that traps your body heat between the garment and your body, keeping you warmer in cold waters. This kind of rash vest is usually worn under a wetsuit to increase either the life of a wetsuit or just to enhance its warmth, particularly when surfing in colder climates and are a similar concept to when people wear thermal underwear to help stay warm in the winter.